Clubs at Xavier are student created and student lead. If you can't find what you are looking for, you have the opportunity to create your own community that shares your own interests. The Ark Club is a space where students and faculty discuss gender and sexuality in an intelligent, respectful, and prayerful manner in an effort to build awareness. The Ark Club continues to form the Xavier student as a man or woman with and for others. The board game club's mission is to bring people together and to have fun. Our goal is to help them get off their technology and spend time with friends and family. We come together to encourage and motivate others. We hope this club allows people to form friendships and come closer together. Book Club’s mission is to encourage people to read and enjoy books. Book Club also wants its members have fun and not feel like books are boring or uninteresting. Book Club is for people that want to read fun books, talk about them, watch movies related to them, and not feel like it’s another English class. The Dirt Bag Club exists to make Xavier a better place environmentally. We want to ensure a healthy environment at Xavier now and to its future. We use recycled materials to create new things and help Xavier grow. Drama club is dedicated to the promotion and production of the theater arts at Xavier College Preparatory High School. As a troupe of the International Thespian Society and members of the Xavier community, Drama club seeks to spread the magic of the theater to all communities in and outside of the school. The purpose of the Xavier Drumline is to bring school spirit to our community through rallies, sporting events, and halftime shows. Drumline provides a friendly, skill building atmosphere in which both beginners and experienced players are welcomed to join. To teach those about the art of fencing, as well as provide a friendly environment during lunch. The mission of the food club is to help kids be more open and explore the world though food. They will learn about different cultures and different parts of the world. The food club will help bring kids close to their cultures or new cultures. 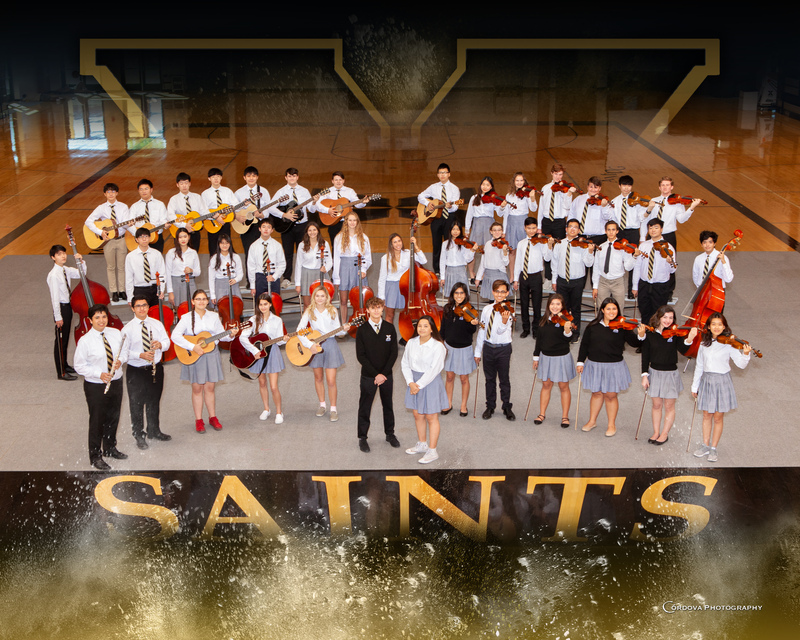 The French Club aims to promote French culture, language, and traditions while supporting our students, our community, and the mission of Xavier to form men and women with and for others. Our mission is to promote gender equality by educating the community of Xavier College Prep about gender inequality and providing a forum to discuss issues relating to gender. Our goal is to leave each member with a heightened conscious of gender issues reflected in modern society. To create a platform for girls at Xavier to learn about interesting career choices. They will be able to listen to guest speakers as they talk about building companies from the ground up or what it is like to be a woman working in industries dominated my men. This club is for the students who loves or interested in guitar & singing to join. Here we will share our feelings and experiences about learning guitar, also those who don’t know how to play the guitar are welcomed, we are willing to help you to begin playing it! Jazz Band is a music club where students play wind rythm instruments as an ensemble. Members play selections from 1920's jazz to modern music. There are several concerts during the year, including: Rock the House, Stardust, Forum Festival, Camfest, Christmas and Spring Concerts. No experience necessary only commitment to practices. Note: elective credit is also available. 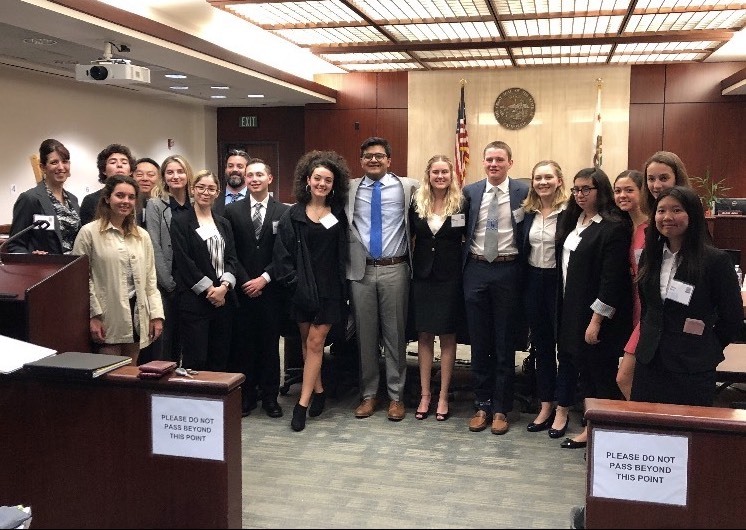 Mock Trial is dedicated to teaching law and legal procedures by using a hypothetical court case and competitive tournaments versus schools throughout the county, state and country. This club is dedicated to young photographers who wish to explore their artistic limits both in photography and in life. The members of this club are not required to have photography experience, nor a professional camera. They will however need to be open to growth as our main focus will be improving artistic skills through peer encouragement and critiques. Members will need to be kind and respectful with their peers during all times since we intend to create a safe and positive environment to share and refine our photography skills. Our final goal is for each member to have a strong portfolio of their work. We look forward to seeing our members enhance their skills and take some splendid pictures! This club aims to explore the beauty of physics by providing a platform for learning and discussing physics. Our topic includes but not limited to all AP exams of physics, SAT physics, all math related to physics and Physics Bowl. Pingpong Club mission is to build community, friendship while playing a game of pingpong. The Xavier Sailing Club is a social club to elaborate on everyone's level and knowledge of sailing and to experience the thrill of sailing, while developing life skills and confidence that come with good seamanship and the Corinthian yachting tradition. Senior Outreach Club aims to connect Xavier students with our community’s elderly citizens. By partnering a student with an elderly member of the Mission Hills Assisted Living Facility, the club strives to form everlasting connections, that prove to benefit both parties. Senior Outreach Club is also a wonderful way for sophomores and juniors to receive their required service hours through a joyous and engaging relationship! To create an interest and study in the feilds of Science, Technology, Engineering, and Mathematics. Represent Republicans of the Xavier student body have a more diverse campus and create a safe space for Republicans on campus Demonstrate republican ideals through community service Reflect on how republican ideals impact/affect your Christian/Catholic faith.Educate kids on the ideals of the Republican Party Help raise money for Veterans Community Project. 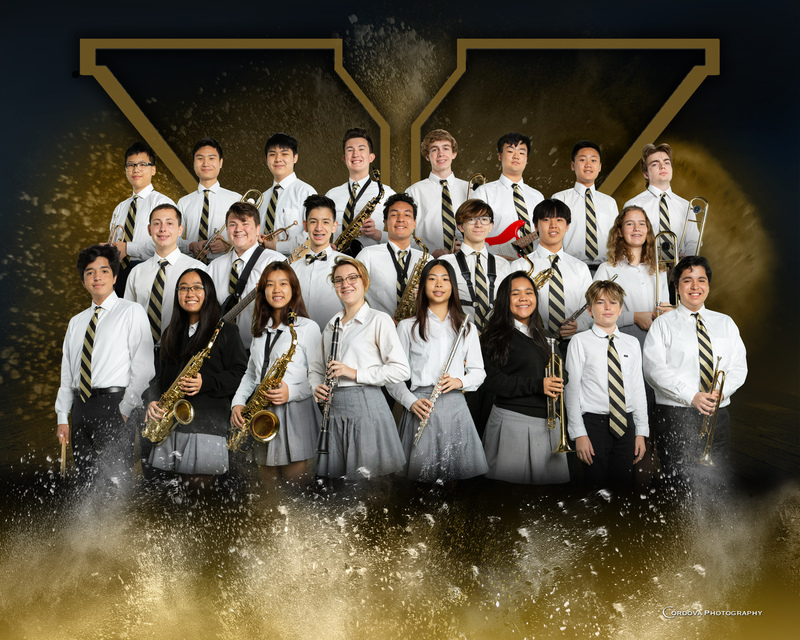 The Vatican Club is a club created by students and is dedicated to ensure that the Xavier Community is well supported when it comes to the aspects of athletics. The Vatican believes that by showing better school spirit in the aspects of sports that the Xavier Community will benefit from the close relationships the student body is creating through cheering with the student section and through this club. To create a welcome space for transfer students, current and previous to meet other students and share questions; concerns; excitement; recommendations; and other experiences during the transition. Our Tutoring Club is all about helping 9th- 11th grade Xavier Saints who are struggling with mostly Math and Science problems. We are here every Monday at lunch time in Room 104. Everyone is welcome. Tutoring Club offers free tutoring for our Saints. Our members are available mostly every day 30 minutes before school or after school. Special needs will be scheduled by the president. All the members of Tutoring Club are all going outside of school to help out the community such as, free tutoring in Las Palmitas Elementary School, Boys and Girls Club and so on. Don't hesitate, come and we will help you! For our Saints who are interested in participating as members, you are always welcome to join. Members will earn service hours while helping out the community. United We Stand works on advocating for those socially, politically, or economically pushed to the margins. Join us to make the positive change you want to see in the world. Our mission is to record students life at Xavier. From rallies, games and events to information about what is currently happening in our campus. Looking back we can remember the fun experiences we've had while being a Xavier student. Students interested in film, editing, or just make and save moments please join ur club! Youth court is an Organization within the Xavier community that directly works with the Larson Justice Center. Directed by attorney Douglas Gee, students who share an interest in law have the opportunity to learn the basics while working in an actual courthouse. Members will work with students from across the Coachella Valley who have received their first legal offense and present cases in front of a judge and jury of peers. Our goal is an outreach organization is to give the accused students a second chance while developing our own skills similar to a lawyer.